How to Transfer Music to iPhone Xs/Xs Max/XR? Home> Resource> iOS Transfer> Want to Transfer Music to iPhone Xs/Xs Max/XR? Methods are Here! Want to Transfer Music to iPhone Xs/Xs Max/XR? Methods are Here! If you are a music lover as well as a big fan of iPhone, the most desired thing you want to do in these days must be getting a new iPhone Xs, iPhone Xs Max and iPhone XR cause these wonderful products will be released recently. And in order to transfer your favorite music to iPhone Xs/Xs Max/XR, you may want to know the way to transfer your songs from computer or old mobile phone to iPhone Xs, iPhone Xs Max and iPhone XR. To help you, this article will introduce you the easy methods to complete this process. Part 1. How to Copy Music from Computer to iPhone Xs/Xs Max/XR? Part 2. What Can I Do to Transfer Music to iPhone Xs/Xs Max/XR from Other Phones? Part 1. How to Copy Music from Computer to iPhone Xs, iPhone Xs Max and iPhone XR? 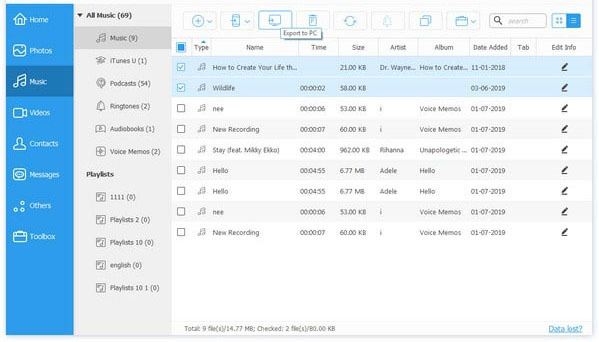 In case of data lose, some users might select to backup the songs they like in computer so that they can find back these files when their phones are damaged or the data is deleted accidently. After getting a new iPhone Xs/Xs Max/XR, the first thing you want to do might be transferring the music from computer to your phone so that you can enjoy the music on the device. Tap on "Music" option on the top munu, and you can find that all songs on your iPhone have divided into different categories, such as Music, iTunes U, Podcasts, Audiobooks, Ringtones, and so on. In the default Music category, just click "Add" button to choose import a single file or a whole folder into your iPhone at one time. 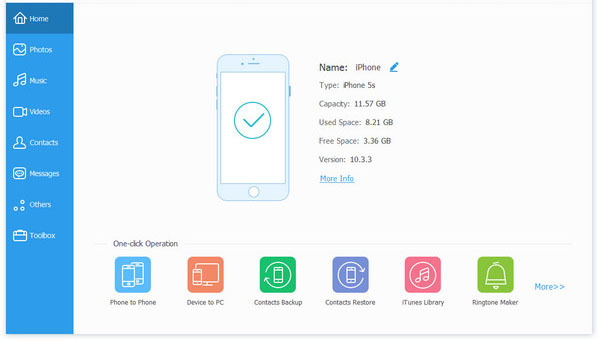 How to Connect iPhone to PC Successfully? It is probable that you do not backup any files to your computer and you may ask whether it is possible to transfer the wanted music from your old phones to new iPhone Xs/Xs Max/XR. The answer is "Yes". You can copy these songs to your iPhone by using Phone Transfer. 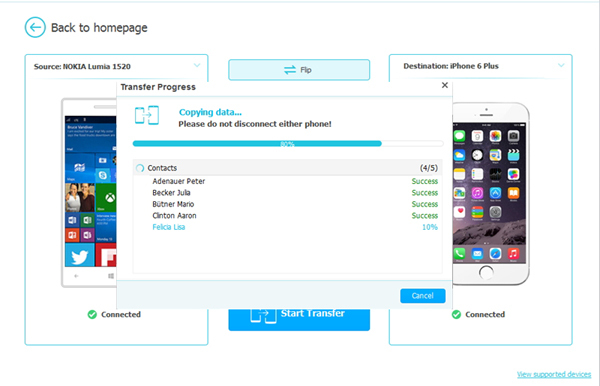 No matter the phone you used before is iPhone or Android phone, this tool is able to copy files from them to a new phone. You can click the icons below to download and install this program and go with the steps to move your music. Attention: Please be sure that you have installed the latest iTunes on your PC before using this program. You can connect your old phone- both iPhone and Android mobile phone, and iPhone Xs/Xs Max/XR to the computer via USB cables now. 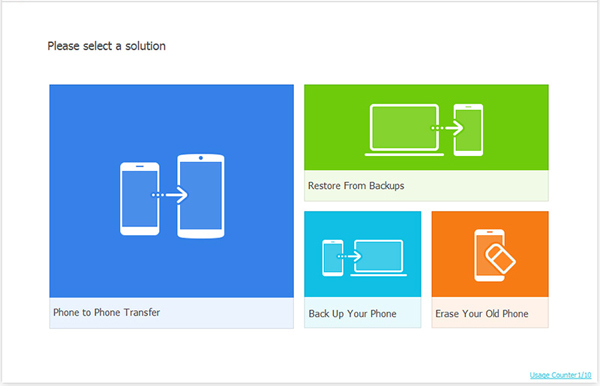 Run the software and select the mode "Phone to Phone Transfer" directly. Then the program will detect two phones at one time. 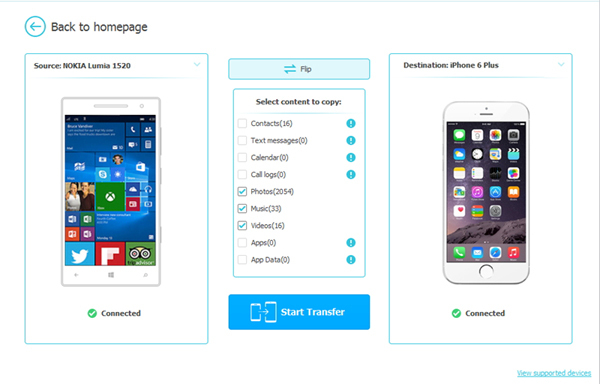 Either your old phone or iPhone will be the source device randomly and if the old one is in the source area, you can move to the next step. If not, you have to click the "Flip" button to change their positions till you can transfer music from old iPhone or Android phone to iPhone. In this step, tick the "Music" option in the middle of interface and click "Start Transfer" to begin to transfer songs from old phone to iPhone. How to Transfer Calendars from iPhone Xs/Xs Max/XR/X/8/7 to Computer? How to Import & Export Bookmarks from iPhone Xs/Xs Max/XR/X/8/7 to Computer?